Social media doesn’t get enough credit. Some people consider it a consider it a wasteland for millenials to post selfies on. Others believe it creates an environment that gives credit to those who don’t deserve it (for example, The Fat Jewish). Yes, certain outlets do prove these skeptics true, but as a whole, social media platforms can do so much more. A specific example of how various platforms have assisted in a positive end goal is highlighted within the music industry. Social media platforms have created environments for up and coming artists to successfully promote their brand and music. This isn’t anything new, however. 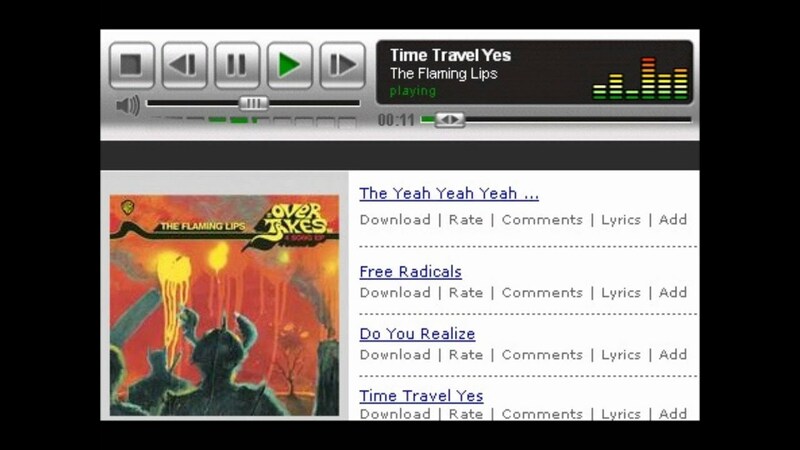 During the prime MySpace years, music was a very prominent part of the site. Bands released their latest songs on MySpace’s streaming service and users could feature songs on their profiles, thus creating a platform that allowed for both socializing and the promotion of new music. Furthermore, bands and artists could post “bulletins” announcing new tour dates, as well as dedicate a portion of their profile to display tour dates. MySpace provided a space for artists to develop a fanbase that, if they were lucky, eventually grew. Today, MySpace isn’t as culturally relevant as Facebook, Instagram, or Twitter. (Sorry Tom Anderson, but you seem to enjoy being retired anyways). However, two platforms that have helped underground artists make leaps and bounds in their careers. YouTube and Soundcloud both continually churning out new talent. That being said, both of these platforms have hundreds of thousands of users who are trying to make it big. How then, do the ones who “make it” eventually distinguish themselves from all the others? The Biebs has definitely made progress over the past years (especially with his hair styles) all thanks to YouTube. According to the site’s statistics, YouTube has over a billion users today and generates billions of views every day. How then, did a twelve year old boy get discovered in a sea of videos? He got extremely lucky. Thanks to Momma Biebs, who posted a home video her son singing Ne-Yo, a talent agent eventually found his way to these home videos and discovered Justin. It was all up from here. Bieber had the support of R&B sensation Usher — who made countless efforts to sign him to Def Jam Records and make sure his protege was recognized. Of course, Bieber didn’t go without being noticed. It was inevitable that he got at least some recognition, which ended up turning into worldwide super stardom, since he was affiliated with such a huge name. Here, we see an example of social media blow up a fan base because of affiliation. If someone with credibility, in this case Usher, tells users that Bieber is his protege, you best believe that hundreds of Usher fans will make their way on over to YouTube JUST to show their support for Usher. Luckily for Bieber, he was eventually able to make a name for himself rather than just rely on the home videos that made him famous. Today, he’s a household name and touring the world. So here’s to you, Usher. All the tweens thank you. For those of you who don’t know The Internet, now’s the chance to get to know them. 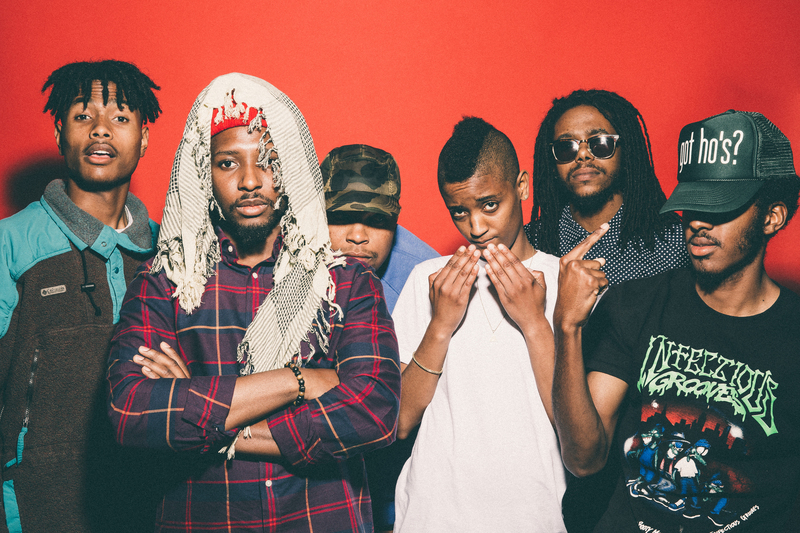 This neo-soul group was formed by members of OFWGKTA, a hip hop collective led by Tyler, the Creator. A few years ago, OFWGKTA was at its peak and got a huge amount of recognition over social media, especially through Tyler’s twitter. During this time, The Internet released their first two albums, which got just as much praise as what OFWGKTA was releasing. Their affiliation with Odd Future and Tyler, the Creator undoubtedly helped them grow and solidify a fan base. That being said, it also hindered them in the sense that group wants to be known for The Internet, not just another group formed out of the Odd Future collective. That being said, it’s easier for huge pop stars like Justin Bieber, who are presented with countless resources to help them break out of the bubble. Today, The Internet has definitely made strides with their latest, critically acclaimed album, Ego Death. Much of their success can be attributed to the music sharing site, Soundcloud, which has been said to be catching up to the likes of Spotify. The great thing about the site is the fact that it allows artists to “build careers on their own terms”. In fact, the group released their second album through this streaming site, for free. In today’s music industry, it’s hard to find good, free music. However, Soundcloud’s aim is to help people do just that. The site isn’t trying to deprive artists of money — it’s trying to help these artists solidify a fan base that will eventually get them towards larger success. That being said, The Internet found just that — larger success. One of the outlets that helped them was a collective community on Soundcloud called Soulection, that aims to promote “honest music”. Many of the artists featured fall in the realm of neo-soul, acid jazz, rap, hip hop, and R&B. Again, with this affiliation comes curiosity from loyal Soulection followers — another example of how affiliation through social media helps artists. Today, The Internet is getting critical acclaim from Times, Forbes, and NPR, and is currently on a US tour then following up with a European tour. Thanks to the explosion of social media within the past decade, artists are able to get their foot in the door and eventually onto stages across the country and the world. At the end of the day, it doesn’t matter how much you try to promote your sound or image through social media, it’s who you know — who reposts your songs, who links your page in their tweets, who posts your YouTube video on their Timeline — who you know here goes a long way. I really like this discussion because the success of artists on social media was one of the first ancillary benefits that people started realizing about these networks. Beyond the groups who are trying to make it big, it is refreshing just to see the talents of the people around you. I have a number of friends who post their versions of popular songs or even some of their original works with the sole intention of just sharing what they have done. The one thing I was wondering as I read your post was the role of free music sharing, starting with the free weekly songs from iTunes implemented years ago to the streaming services popularized by Spotify today. These companies have a lot of power with their recommendation algorithms to bring awareness to smaller artists trying to make it onto the scene. In a way, I agree with you that becoming mainstream takes help from someone, but I think music services can play a large role in this too. Thanks for your perspective! It’s been interesting following the development of the music industry on social media over the past few years. As one of the first industries disrupted by digital technology, it’s managed to find a way to use digital to reinvent itself. It is truly interesting how Youtube has changed the music industry. It has become a platform where any aspiring artist can gain a following. While it may take knowing someone famous to get to the Bieber level of success, there are many Youtube artists that are able to tour the world and live very comfortable lives because of their Youtube subscribers. As a huge music (of all genres) fanatic, I really enjoyed reading your article. I can remember the old days when I would go to a real music store to buy a real cassette or CD. Since everything is digital now, it only makes sense that the music industry can benefit from the boom of social media. When you brought up the building careers on their own terms idea, I couldn’t help but tie in the concept of crowd-sourcing with the music industry. I’d like the see how companies like SoundCloud and a social funding site such as Kickstarter can work together for amazing new music talent. I have found this article relevant to social media in my own personal life. First, I had a freshman year friend who’s band exploded overnight thanks to a shoutout from Dave Grohl of Foo Fighters Fame. Their followers and listens went from in the hundreds to tens of thousands within a week. (Plug for Sam: https://soundcloud.com/the-winter-brave) . Another example was the release of Meghan Trainor’s “All About that Bass”. I actually graduated high school with Meghan, and saw friends sharing the music video when it was still around 100 or 200 views on Youtube. Within days, she had become the next sensation, which was kind of surreal to see. Your line about “who you know” making the difference for aspiring artists left me wondering how much it matters. On one hand, Sam’s band received a lot of attention seemingly at random. Meanwhile, Meghan had a few connections to the music industry already, but still exploded in popularity much more than I think she ever thought possible. Really like this post, Minh-Y. I like that you focused on music and how it is using social media to connect artists to offline social networks in order to take advantage of online fame. Really like your use of media in your post — very aesthetically pleasing! ← Is #Martial worth $55 Million? Social Media to blame?